Join us at our Pop-Ups to deliver your matchbox impressions of Perth or use our creative kit to create your matchbox on the spot. Before creating/delivering your matchbox, please read our invitation instructions to ensure your work is safe to travel through international customs with us. Over the the first few weeks of November pick up and/or deliver your People Make Places Perth matchboxes or even create one on the spot at one of our pop-up events (we will have creative kits with us). Pop-Ups and areas we will be visiting daily will constantly be added to this post. Some events will be at private venues so please contact us directly to be informed of the exact location or to suggest an alternative time and place to meet up. 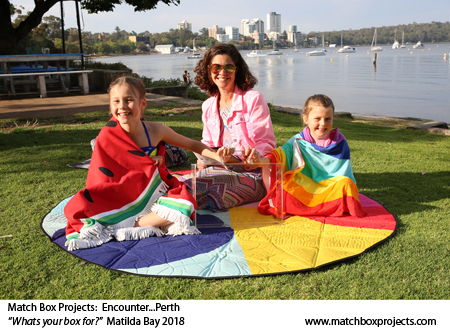 These meet-ups/rendezvous/pop-ups are where you can meet diverse fellow Perth residents and share what you have created with them before we encapsulate all local matchbox impressions in our Perth Time Capsule. There are often quite a few people at each event so please give yourself ample time to enjoy the experience and to ensure we can individually photograph you (at least your hands) with your box and record your voice expressing what you have created. NOTE: We will be leaving at 9 - please ensure you are there early enough to enable us to capture your photo and voice-record your Perth reflection. Weather permitting we will be outside at the blue tables and where this lovely family below was sitting when we encountered them. Otherwise we will be inside till 4 then move outside. Take our phone numbers with you. Join us at our Rendezvous/Creative workshop in Mount Lawley. If you can contact us in advance, so we can reserve an appropriate number of tables, it would be greatly appreciated. Collect a matchbox or return your Perth matchbox to us in Fremantle. We will be in the Fremantle area from around 6-7pm and in Northbridge after 9pm. 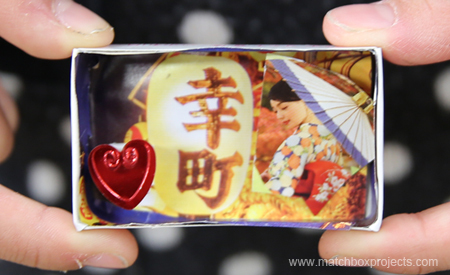 Contact us to collect a matchbox. Join us at our Rendezvous/Creative workshop in Eglinton to pick up, deliver or and/or create your matchbox. Collect a matchbox or return your Perth matchbox to us at Victoria Park in the morning or at our workshop in Scarborough Beach in the afternoon. We have arrived in Perth and will be immersing ourselves here to around the middle of November. Those living, working and/or studying in Perth are welcome to join our People Make Places journey. 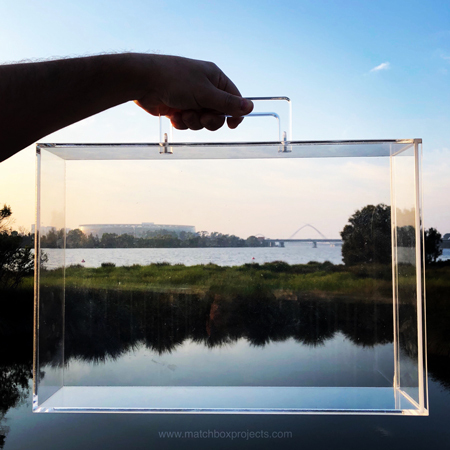 We invite you to consider your sense of place and respond to the theme “My Perth” in one of our signature matchbox size boxes. View our invitation instructions pages and deliver/create your matchbox work at one of our Pop Up Delivery Points /Creative Workshops over the first few weeks of November. Our Pop Up Delivery Points are held at places recommended by our local participants. To date they have ranged from parks, cafes, galleries, museums, restaurants and community centres to people’s homes, apartment rooftops, private members clubs, empty shopfronts and at public events and festivals - all of which have been free of charge to access or generously donated. If you know of a great location for a Pop Up that we can utilise for a couple of hours, or even a day or two during our stay, please let us know. Our Pop Ups take up a table or two in each venue. Depending on the place and size, we generally bring 1-10 Time Capsules from around the world with us to share with everyone. We often sit around a long table or a few tables where participants can share their matchboxes with each-other and/or create their boxes. Often locals visiting the venue at the time are curious and they also join in and create their own magical boxes on the spot. 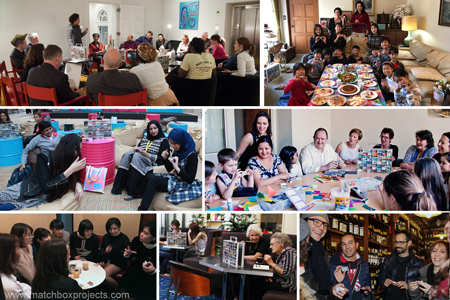 The project is very inviting and celebrates inclusivity and diversity and there is always lots of love in the room! If you would like to recommend a place contact us. We will be collecting matchboxes at the following locations. Please let us know which place you would like to come to and we will send you the address. We will be having a number of pop up/meeting points between now and 20 December where one can pick up and deliver their matchboxes. You are also welcome to suggest a time and place to meet us. We can meet any time daily between 7am and 11pm. CONNECT CREATE COLLABORATE: Locations for Pop Up Delivery Points and Creative Workshops? Can you suggest one? We will be having a number of pop up/meeting points over the next two weeks where one can pick up and deliver their matchboxes. join Facebook page and event Match Box Projects. If you are on LINE join our group to find out where we will be. Line ID phone number is +61 410 331 600 (Australia). This matchbox represents the happiness of the town Ayumi lives in in Tokyo (the chinese character on the lattern is for happy town). Ayumi loves going to the night festivals of Tokyo, where many people attend in traditional Japanese clothing. We will be heading to Tokyo to conduct action research and create People Make Places Tokyo. 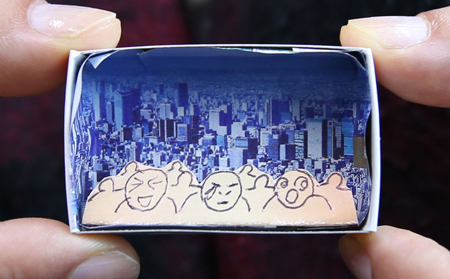 If you have family and friends living/working or studying in Tokyo, we warmly welcome them to create a matchbox for People Make Places. 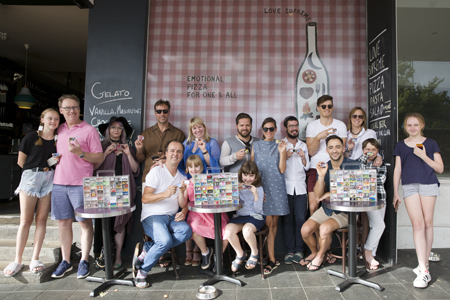 Thank you to all who delivered their matchboxes to our favourite Pizzeria in Paddington this weekend and a big thank you to all at Love Supreme for hosting our People Make Places Sydney pop up. You are the essence of what People Making a Place is all about! 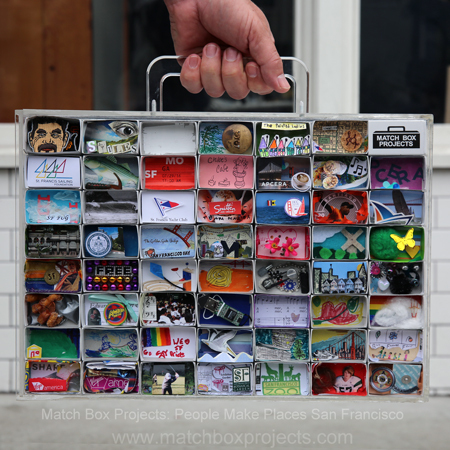 Looking forward to sharing everyones matchboxes as we continue our global journey. We are now back in Sydney. Please note our website provider has changed hands and requires us to move and update our site - we hope to recreate our site over the coming months. 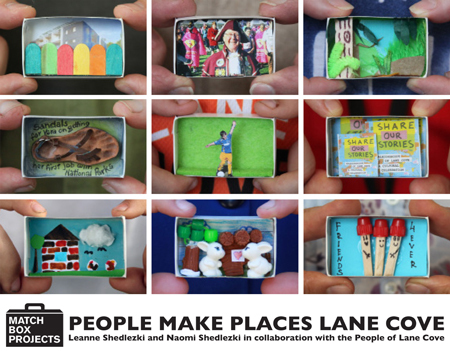 Together with Lane Cove Council we are excited to invite you to our “People Make Places: Lane Cove ” Exhibition which will feature 350+ matchbox-sized impressions of what people in the Lane Cove community love most about living in Lane Cove. Match Box Projects	is proudly powered by WordPressEntries (RSS) and Comments (RSS).